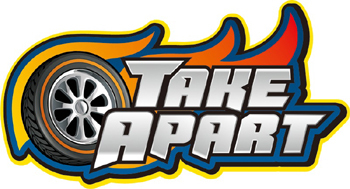 Take Apart® 2 in 1 lights & sounds F1 racing car construction set for kids - build it up, take it apart and start all over again. Build a classic F1 racing car, or add the extra pieces to modify into an awesome super car. The process is challenging without being too difficult to complete for your child. Includes battery operated drill, just like the real thing! (2 x AA batteries included) Simply turn on the engine for realistic engine sounds and lights. The Take Apart® F1 buildable car kit includes everything you need in the box including all batteries, electric drill, wheels, spoilers and much more! This Take Apart kit includes a detailed easy to follow user manual. 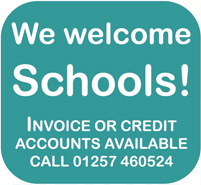 Take Apart® is a registered trademark of net_price_direct. 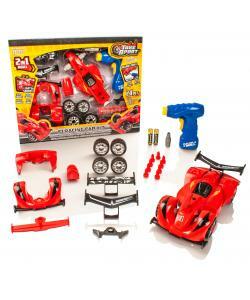 The Take Apart F1 Racing Car Set is the perfect construction toy for any child over 3 years old. The assembly requires elementary level of focus to promote the development of your child's attention span, hand-eye coordination, memory, and problem solving skill sets. This build your own construction kit comes in a superb looking box. The racing car size is: 7.5" x 3.5" x 2.5". Made of non-toxic and durable ABS plastics with soft edges and curves to ensure long lasting performance and the safety of your child. Batteries included.